To protect minors, this company has experimented with facial recognition and real name databases which cross-reference Chinese police databases. TenCent Holdings, one of the largest technology firms in China, is attempting to appease Chinese regulators and the media by implementing safeguards to reduce exposure to its games from minors. 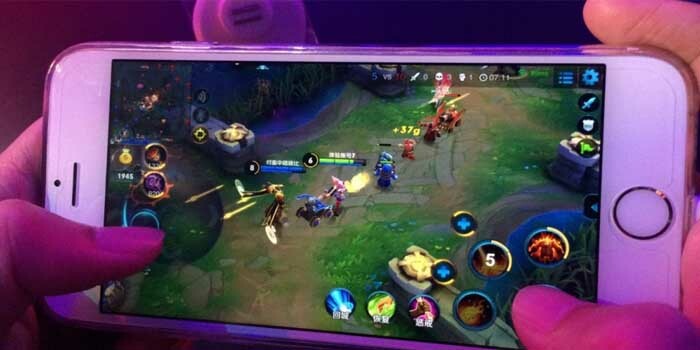 The media has often complained about Chinese youth skipping school and homework to play with video games like TenCent’s “Honour of Kings” and “Arena of Valor”. For this reason, TenCent has sworn to implement age verification and identify verification features. Those IDed as minors would be automatically placed in anti-addition systems which limits the amount of time users can enjoy on TenCent games per day based on age. Despite warnings that these new measures could greatly impact revenue for the company in a negative way, the company will move forward with these plans. Tencent tried these identification features on its game “Honour of Kings” and upon satisfactory trials decided to implement the safeguards to all of its video game offerings in 2019. TenCent video games are often played among China’s youth population, who have little spare cash but are willing to spend what little they have on entertainment. However, the company does not seem to be hurting too much. Chinese regulators in Beijing requested a regulatory overhaul on video games in the middle of 2018 which posed problems for the company and worries for TenCent’s stockholders. Despite this, Tencent reported 80.595 billion-yuan, equivalent to 11.716 billion USD, in revenue earnings for Q3 in 2018. As of 2019, TenCent’s video games will require players to present IDs in order to register and play. To help organize the player database system, real names will be required. The use of facial recognition technology is currently being perfected but is said by TenCent to be used along with its police database cross-referencing system. All of these safeguards intend to protect minors from overexposure to gambling, addiction, and video games. However, TenCent’s senior vice-president Ma Xiaoyi stated in an interview that minors only made up a fraction of its gamers. Online video games tend to offer microtransactions or in-game purchases and loot boxes, some of which can be found in TenCent’s games, which can negatively impact a small demographic of players vulnerable to online gambling. Underage gambling concerns are one of the primary reason that reputable 18+ online casinos implement extensive identity verification protocols. Legitimate gambling sites owners who are committed to operating legally within the industry and preventing damage to minors will always consider the lengths they can go to in order to prevent underage gambling.